Soon after the Rupee Crisis started, the cabinet in 2012 directed the Ministry of Economic Affairs to come up with a report to increase exports and decrease imports. The Ministry in early May 2012 came up with a comprehensive 27 page report that suggested several measures and changes like regulatory reforms in reducing the time period for services, excise duty reforms, taxation reforms and a host of other measures. However, around a year later very little has been implemented from the report, and in fact it was only this week that the cabinet met to discuss the report again. This amount of delay is appalling given that the report listed the government’s initiatives and plan of action to address the rupee issue. The inaction on the above report shows that though the rupee crisis started around late 2011 followed by the credit crisis in early 2012, business continues as usual. The government is yet to carry out many basic reforms mentioned in the report to address the above crises. The Cabinet on receiving the report on 4th May 2012 had asked the MoEA to consult various government ministries and other relevant stakeholders. However, the fact that the Ministry’s report took over a year to get responses from various other ministries shows the lethargy in the system. The cabinet must be held accountable for this systemic lethargy and lack of action for over a year. One telling aspect of the report is that it recommends measures in 2012 which should already have been implemented by the government as part of its earlier policies . For example, the MoEA report recommends that services for businesses be provided within 45 days. This was already mentioned in the EDP report. It is also one more example of vast gulf between policy and action. When the rupee crisis first took place, the government along with the RMA, which is also a government institution, took the much trodden path of blaming everyone else but themselves. This stand fell apart in the face of reports by the BCCI and the National Council that blamed the government and the RMA. However, the government cannot escape responsibility for the subsequent failure to effectively deal with the crisis. Short term measures like import and credit restrictions cannot be the answer to a very long term problem for Bhutan, and ill though out measures like Pedestrian day in fact reduce economic productivity. Even a year into the economic crisis there is still a feeling among the private sector and ordinary citizens that the government is out of depth and out of touch with the extent of the rupee problem. In fact, what could make matters worse is the government borrowing heavily from international financial institutions to fulfill budgetary shortfalls. 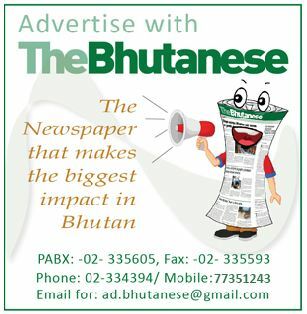 This is in the face of Bhutan already having huge debts. The government also has not shown adequate vision to get Bhutan out of the current economic fix, which is predicted to get worse. The governments standard reply on the rupee problem has been that the commissioning of some hydro projects in 2017 and 2018 will generate surplus revenue. However, the governments own trade and financial date as analyzed by BCCI shows that due to a worsening balance of payment situation and mounting loans the rupee problem will continue to get worse, which in effect means we can no longer vouch only on hydro projects. Using past projects as a precedent, hydro projects are vulnerable to time delays and budget overruns and unlike in the past loan repayment amounts will be higher and for longer periods. The failure of the government to effectively act on its own plan to deal with the rupee crisis shows that the current system needs a big overhaul. It is also a failure of the implementation of several good governance measures undertaken by the government, most of which, like this report, remains on paper. The above may also explain why Bhutan keeps ranking at the bottom of the world pile in ease of doing business index and in fact fell six places last year. Despite tall claims and impressive figures the ground reality is that not much has changed with Bhutan’s governance structure and in fact things may be getting worse. The rupee and credit crises has shown more starkly then ever a government, and its elected leaders unwilling to change and adapt to new circumstances, and also unable to provide the leadership that this country needs to get out of it’s most serious economic crisis.